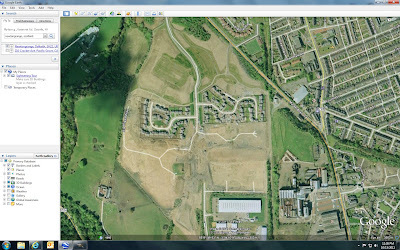 I was dinking around with Google Earth today and was seeing if they had ever updated the area we used to live in in Scotland. Looking down via the satellite image it only shows a dirt field where our housing complex was. And yet when you zoom down to Street View the houses suddenly pop up and you can see Mr. Ed our tiny little yellow and black Mini Cooper. That car was FUN!!!! I just had to put up a post about it. 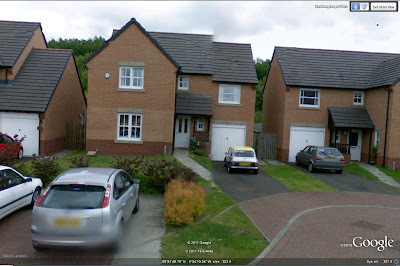 I thought it was a kick that Street View not only showed our house but still showed our cars in the driveway from when we lived there in 2008.